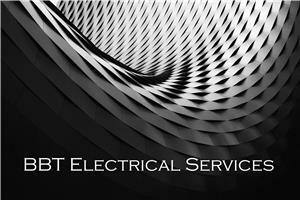 BBT Electrical Services - Electrician, PAT Testing based in Witney, Oxfordshire. BBT Electrical Services aim to provide you with an honest, friendly and approachable face to sorting out your electrical problems. Established in 2011 my aim was to raise the bar when it comes to customer service, an area that I felt was severely lacking. I always discuss with my clients what they want and what can be done, as a short time spent talking the job over makes sure things go in the right direction. All tasks either large or small undertaken so please don't feel as if it's "not worth the bother"!! That socket that has been playing up for ages and you wish worked as it used to can be sorted out so don't worry about making that call! I will endeavour to fit in with your availability so as to get the work completed quickly. References for my work can be supplied if this is needed. I would like to thank you for taking the time to look through my Checkatrade page and I look forward to helping you out in the near future. For payments I am able to accept all major credit/debit cards.